Tax per mile, not per gallon. The federal fuel tax is intended to pay for the construction and maintenance of the country’s roads and transit systems. 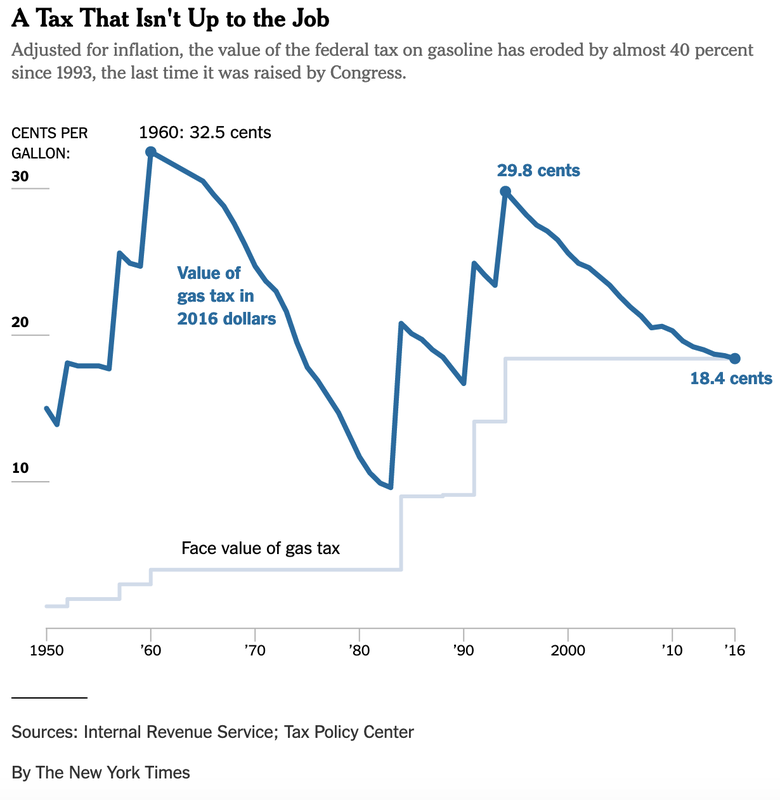 Congress has refused to raise the Federal Fuel Tax since 1993. The estimated cost per mile of gas is 18.4 cents, down 40% from 29.8 cents per mile in 1993 (all amounts in 2016 dollars). It is no surprise that the American Society of Civil Engineers rated our country’s roads a D and our transit systems a D- in 2017. In fact, our country’s transit systems have a $90 billion-dollar backlog. President Donald Trump asked Congress to a raise the gas tax rate by 25 cents last year. I strongly advise against this. Such an action would punish the already struggling poor in our nation and prove ineffective in the long run. The poor own older vehicles that tend to be less fuel efficient than the hybrids and electric vehicles owned by the wealthy. Thus, they pay more per mile driven than do the rich in gas tax. If the gas tax rate were increased, it would disproportionately increase this disparity on an absolute basis. 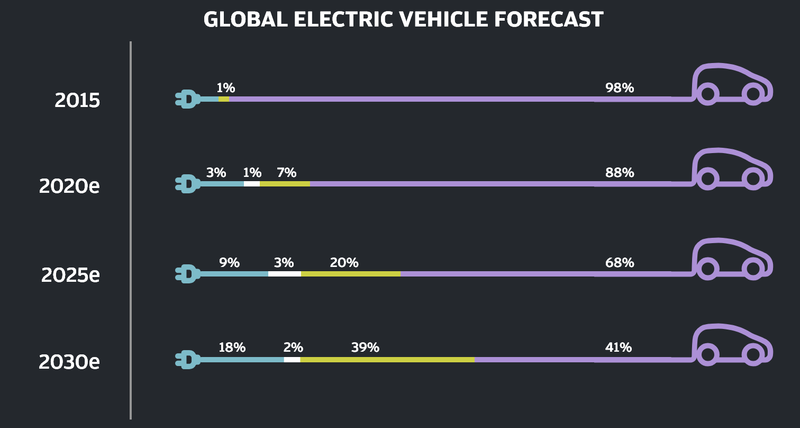 Furthermore, less than half of all vehicle sales are expected to be pure internal combustion vehicles (ICEs) around the globe by 2030. Presumably, most of these non-ICE vehicles will be sold in the United States and China. Thus, charging a gas tax will not adequately transfer the costs of the negative externalities of road wear and tear to citizens driving these vehicles. So how do we charge citizens for the negative externalities of driving? I propose we tax miles driven directly. Most new vehicles today are connected to the internet, sending car manufacturers thousands of data points. Companies like Smartcar are making this data available to third-parties with APIs. The federal government should use this data to directly charge vehicle owners for the miles driven by their vehicle. With this real-time data, taxes to compensate for wear and tear can be made more accurate. Heavier vehicles can be charged more per mile than light vehicles. Vehicles that are driven in mainly stop-and-go traffic can also be charged more per mile than those driven primarily on clear highways. Older vehicles that are not connected to the internet can be charged on an equivalent basis with the assistance of licensed vehicle inspectors. Inspectors can be required to send odometer readings recorded during the regular inspections required by states to the federal government, so it is able to assess a tax for miles driven. California and Oregon have already started testing per-mile tax solutions. Overall, I believe that abolishing the gas tax in favor of a per-mile tax leveraging the technology already built into new vehicles would not only increase government revenues and lead to safer roads, but also be fairer to citizens across all income levels. Love when others use my technology. Currently at Stanford Business School. Previously built Venmo.